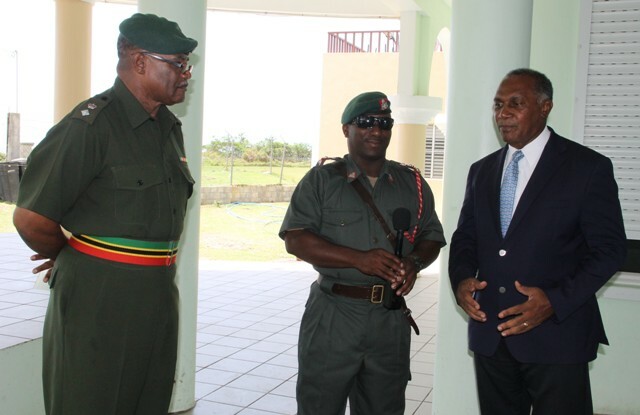 NIA CHARLESTOWN NEVIS (August 26, 2016) — Premier of Nevis and Minister responsible for Security Hon. 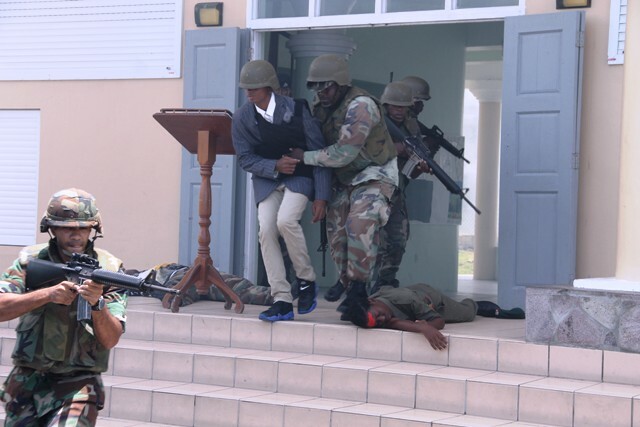 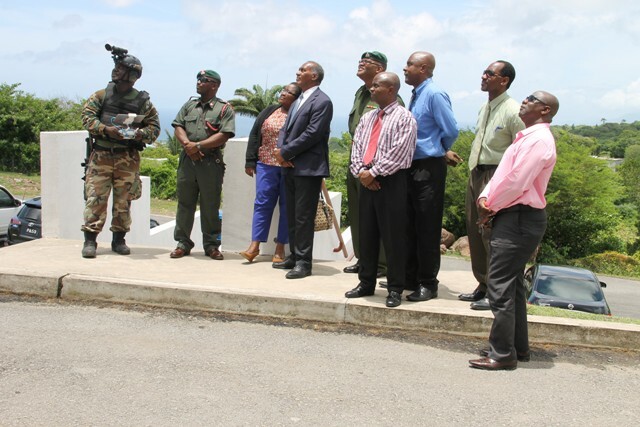 Vance Amory expressed gratitude to the St. Kitts and Nevis Defence Force (SKNDF) for its decision to use Nevis as a two-week training ground, to sharpen their skills in crime fighting and disaster response. 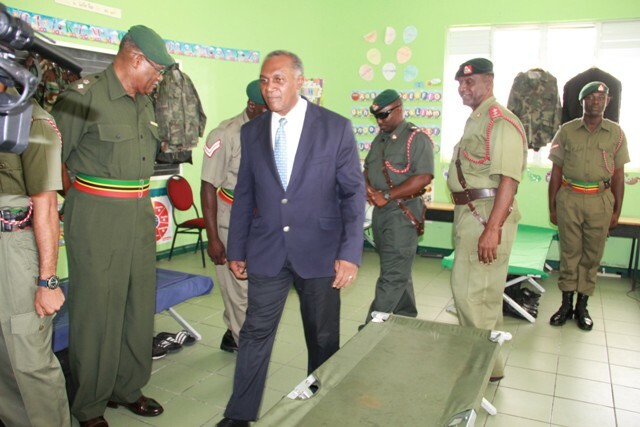 Mr. Amory’s remarks came when he visited the camp for the Reserve Corps of the SKNDF, at the Elizabeth Pemberton Primary School on August 25, 2016. 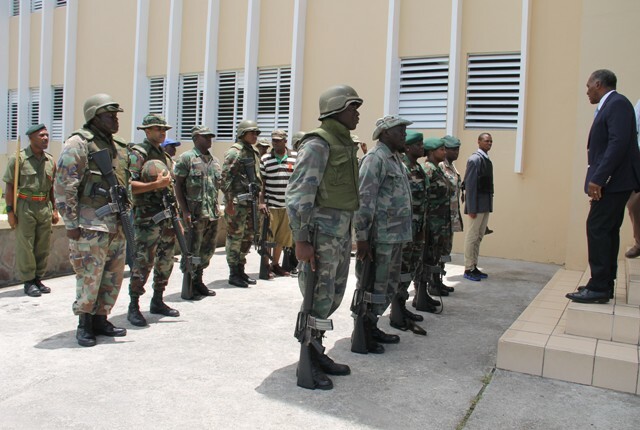 The two-week camp concludes on August 27, 2016.